Discount Ninja can automatically create discounts for you. These discounts are applied in the collection, product, cart and checkout. This article explains how you set up cart level and product level generated discounts in Discount Ninja. This article assumes you have already created a promotion and you've started editing it. You can also select to use a "fixed discount code" to select a discount code you have set up in Shopify. 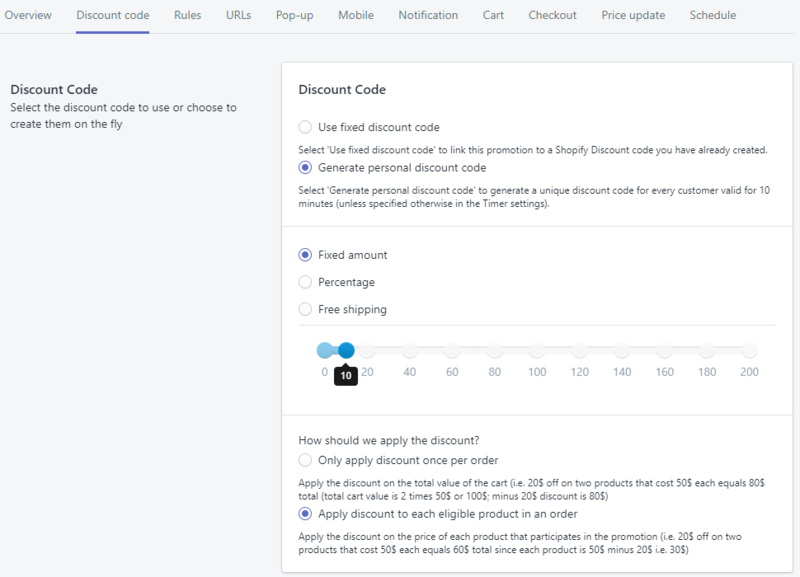 Read more here about how to set up cart and product level discounts in Shopify. Not sure what the difference is between cart and product level discounts? Read more here. To define a cart level discount in Discount Ninja simply set the option "Only apply discount once per order". 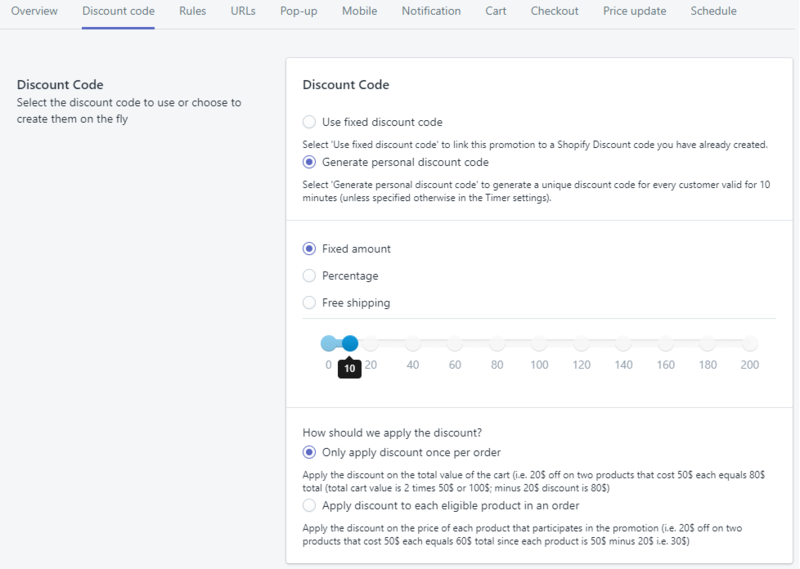 To define a cart level discount in Discount Ninja simply set the option "Apply discount to each eligible product in an order".